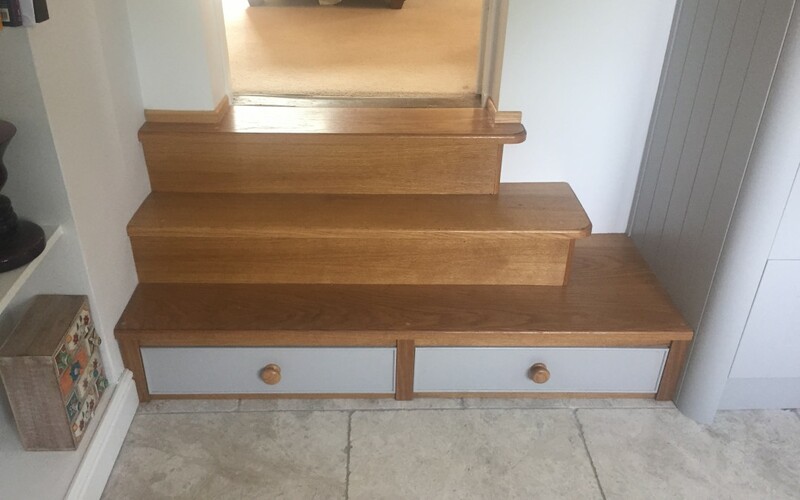 This step is one of our favourite pieces of carpentry. First of all, it looks fantastic! It matches perfectly to the kitchen that it is stepping down to, using the same wood as the work tops and painted with the same paint on the units. At the end of the day you can never have too much storage can you? Why would you build a solid step with or one with a void behind when you could create a nifty little storage drawer – hence more storage space! Seems like a sensible decision to us. Another point to add, is that it has been designed with its own self closing mechanism. So you don’t even need to worry about someone leaving it open.